July 7, 2018 – Last school year, Aline’s biggest challenge was Mathematics for Engineers. She said these classes were the most difficult, but she was able to work really hard, read a lot of books that related to mathematics, find a tutor to help her and she was able to overcome the challenge and do well in her class! This summer, she is looking forward to visiting her family in the Southern Province of Rwanda! May 12, 2018 – Aline values God and respect, because God means everything to her, and being able to respect yourself and respect others helps them to respect you as well. 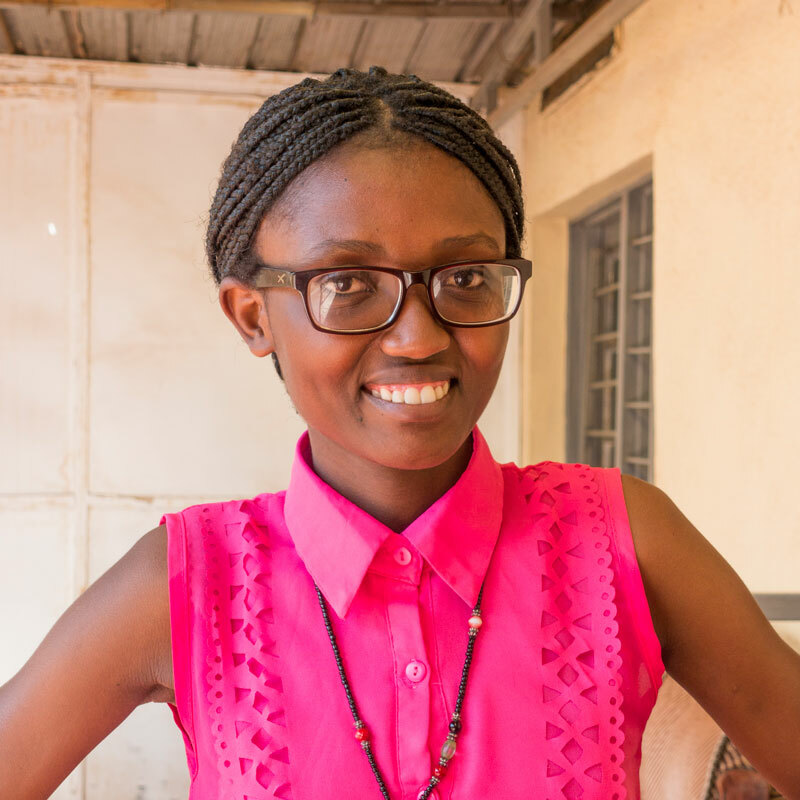 March 25, 2018 – When Aline was younger, she hoped to be a water and sanitation engineer because she had a friend who did this and was always an inspiration to her! In five years, she plans to be using her knowledge from university to support her community and serve those in need! Feb 27, 2018 – Aline said her nickname is high school was Popsy, it originated from a book she read and it means best friend. The person who inspires Aline most is Dr. Ben Carson, through reading his books she is encouraged to be humble, courageous, honest, and a good leader! Jan 25, 2018 – Aline said the last thing she read that she just couldn’t put down was the leadership guide from These Numbers Have Faces. The part that was the most impactful for her was about having a “can-do” attitude! Dec 18, 2017 – On Christmas, Aline says they gather with friends and family to eat, dance and have fun together! A word Aline thinks her friends would describe her as is “smart” because she loves to study and learn. Nov 11, 2017 – Aline is thankful that she gets to live with her best friend from Huye. She is also looking forward to Christmas, because she gets to see her father! Oct 8, 2017- The highlights of Aline’s summer were when she got to interview with the These Numbers Have Faces staff, and particularly the day she was accepted into the program! Aline was very excited about the advice and encouragement she got from the staff, and especially from Justin Zoradi. She is also really looking forward to the monthly leadership trainings she will be able to participate in. As Aline grew up, she struggled with her community’s treatment of women. She saw other young girls passing up education to start families and live traditional lives, but Aline knew she wanted more. As the fifth born of eight children, Aline fought to be a good example of leadership in her own household, both to her older sisters and younger brothers. Each day, she makes the choice to take risks and work hard rather than waiting for someone else to provide help. Aline knows that a university education is not something everyone can obtain, so she wants to use this opportunity to give back to others. With a degree in Water and Environmental Engineering, her goal is to work towards using renewable energy sources that can serve her city and country. Aline’s eyes are open to the issues that surround her. With her degree, she will be equipped to overcome the problems she sees and lead those around her into a better future.